Kiev said it will stop importing Russian gas from next Wednesday if Gazprom doesn’t offer it a better price, according to the country’s Energy Minister Vladimir Demchishin. Halting supplies through Ukraine could put Europe’s energy security in limbo. “It is necessary to buy Russian gas at the moment, but buying at a higher price than we can buy from Europe makes no sense,” Demchishin said Monday, as quoted by TASS. Similar claims have been made by Prime Minister Arseny Yatsenyuk. Last week, Ukraine Finance Minister Natalia Yaresko said gas imports from the EU would be $50 cheaper per 1,000 cubic meters. Russian Energy Minister Aleksandr Novak said the price Ukraine would pay for gas starting April 1 could be $348, according to preliminary calculations. Under the current ‘winter plan’ Russia sells gas to Ukraine at $378 per 1,000 cubic meters, but it only after receiving prepayment from Kiev. Moscow and Kiev are expected to strike a new gas deal this week, since the ‘winter plan’ expires at the end of March. Ukraine expects to sign a new deal with Russian on April 13-14, according to Demchishin. At a previous meeting, Ukraine agreed to continue buying Russian gas to keeps its underground storage full in order to ensure supplies to Europe. As of Sunday, Ukraine’s gas reserves stood at 7.741 billion cubic meters, 5 percent less than on the first of the month, according to data from Gas Storage Europe (GSE). 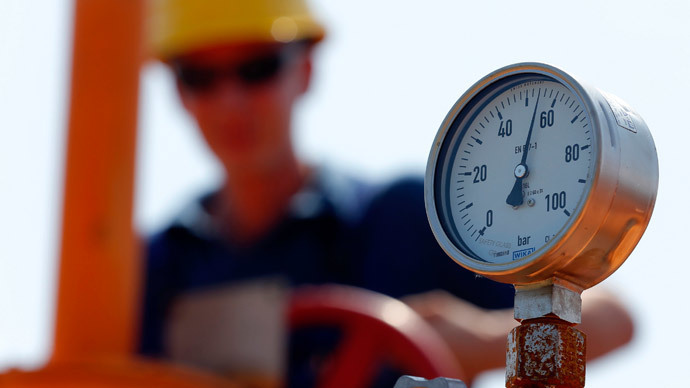 Since the beginning of the year, Ukraine’s gas reserves have shrunk by 3.627 billion cubic meters, TASS reports. Deliveries of Russian gas to Ukraine in 2014 were suspended for almost six months. On June 16 Gazprom switched to a prepayment system for Naftogaz because of a $4.5 billion debt, and only resumed deliveries on December 9.